This ring makes a statement that's perfect for a night out... or as a great gift for the animal lover in your life. 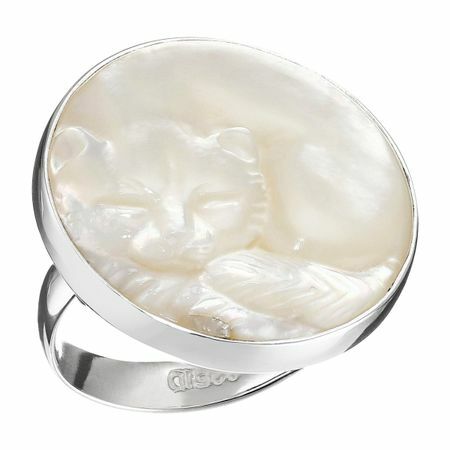 A natural mother-of-pearl is carved with a subtle sleeping cat design and crafted in classic sterling silver. Ring face measures 1 by 1 inches.